brought to you by Kidmoto – where safe family airport transportation begins. As parents, safety comes first, especially if it concerns your own kids. This is precisely the reason why it is extremely important to choose the appropriate convertible car seat for your kids. Now, you can’t just buy the first car seat you see at the mall. With so many options out there, you have to be selective with your purchase. Traveling or commuting is a part of the daily hustle. Driving your kids to school before you head out to the office or the supermarket is a familiar scenario for any typical family and you need to prioritize safety all the time. A convertible car seat is an investment to ensure that your kids are safe and sound as you drive. Some parents tend to overthink or even exaggerate a bit when it comes to picking the right convertible car seat for kids. Well, it’s a consolation to know that it’s not rocket science to shop for a convertible car seat. You just need to shop wisely and check on the specifications to match your needs. First things first, you need to know exactly what you’re looking for in a convertible car seat. Be precise as to how it should match your kids. Buy baby accessories or equipment that will grow with your baby so you can use it for an extended period of time. A convertible car seat is a versatile piece that has two latch belt routing paths that suit babies and toddlers alike. Basically, you can use this car seat rear-facing when your little one is still a baby and then use it facing forward when you have a toddler in tow. This can also be used as a booster seat as your kid grows. It is interesting to note that convertible car seats have expiration dates. 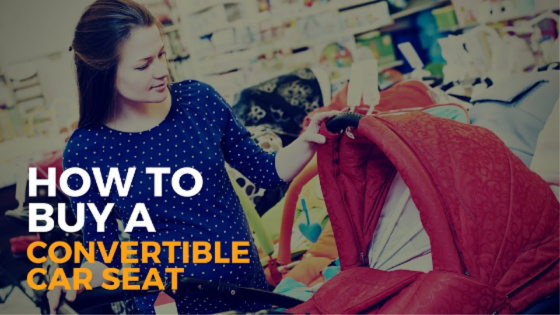 So, if you intend to use it for a long time, it is common sense to check on the expiration date to be sure that it meets your expectations and be confident that you will choose the safest convertible car seat. •	Check the prices and stick to your budget range. You have to check on stores for sale prices. Know for a fact that the price range would be on the extremes and you have to keep your eye on your specified budget range for a convertible car seat. While price could be a predictor for excellent quality, there are reasonably priced convertible car seats that would be great for your children. 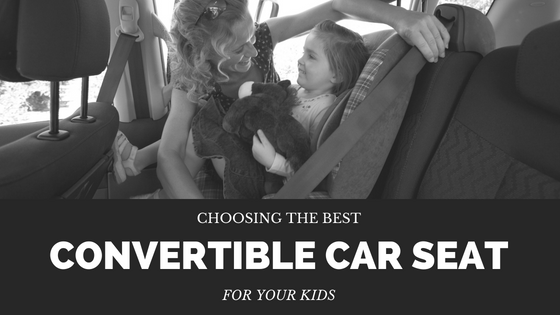 •	Choose convertible car seats that have adjustable features. You can never go wrong when you choose comfort and versatility over aesthetics. You would want a convertible car seat that will be able to grow with your child so you would not need to buy a new one every time he or she grows an inch. Check for models that would allow adjustments in the belt area. Also, look for single-handles buckles that allow quick release. •	Choose safety above all else. Safety always comes first, especially if it’s a device or equipment you’re buying for your kids. It is advisable to pick a convertible car seat with vital safety or security features such as a 5-point harness which completely secures your baby while in the car. •	Check for comfort. Enjoying travel adventures or just a quick trip to the mall and grocery store warrants a comfortable car seat for your kids. Make sure that you buy a convertible car seat that will allow your baby or kids to enjoy the ride and not feel anxious or agitated while strapped in it. You will have a happier and less cranky baby with a firm yet soft padded convertible car seat that will allow enjoyable and comfortable travels. •	Easy to clean. Convertible car seats must be kept clean and sanitized. So, one of the primary considerations when shopping for one is if it is easy to clean. Look for convertible car seats that have detachable covers which make it easier and more convenient to clean. Babies and kids would tend to be playful and messy so this is something to be considered when you shop for a car seat. •	Ensure that it matches your car. Yes, there is no one-size-fits-all car seat for everyone but there is a convertible car seat that will match your car. There are smaller cars that would require a different car seat than when you have a roomier car. You can check on a convertible car seat that has efficient latching or locking system would be a good pick for any car. •	Check for user-friendliness. Your preferred car seat may be an A-lister in design and affordability but if it isn’t easy to use – you have to look for other options. 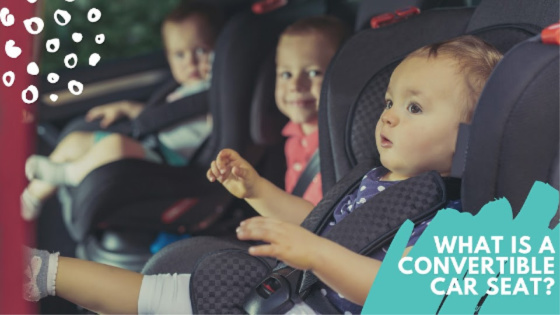 One important factor to consider when you buy convertible car seats is its user-friendliness. You cannot efficiently use anything if it’s too complicated to handle. •	Try out the car seat in your own car. There are stores that offer you the chance to actually try out the convertible car seats right in your own car. This is a great opportunity to test drive the car seat and check if it fits your car and your little one. You can also check how comfortable and secure it is in different positions. Shopping for convertible car seats should be fun, so check out online reviews before you head out to buy one for your kids. Also, your next car seat need not be too expensive, so check out for sales or coupons so that you can get the most out of your purchase. The best car seats aren’t the most expensive, so go for one that is adjustable, comfortable, durable, and safe for your growing kids.